Chinese old towns were fortified towns within strong walls and gates. They had to be protected from invasions and banditry. 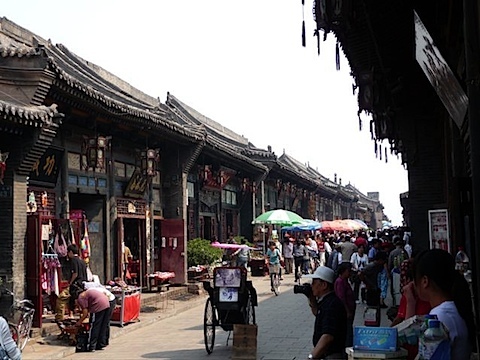 Some old towns from the Ming Dynasty of the 1400s still exist intact today, while others changed with the times. Some others just fade into history and forgotten. 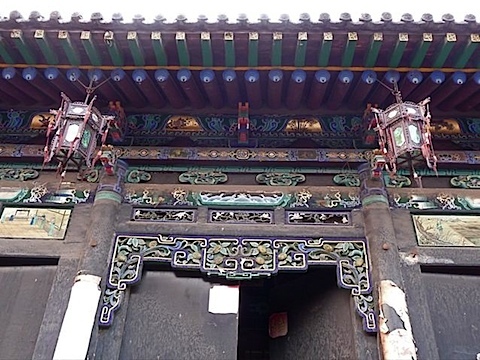 The following are the fates of different old towns in ShanXi 山西 Province in northern China. 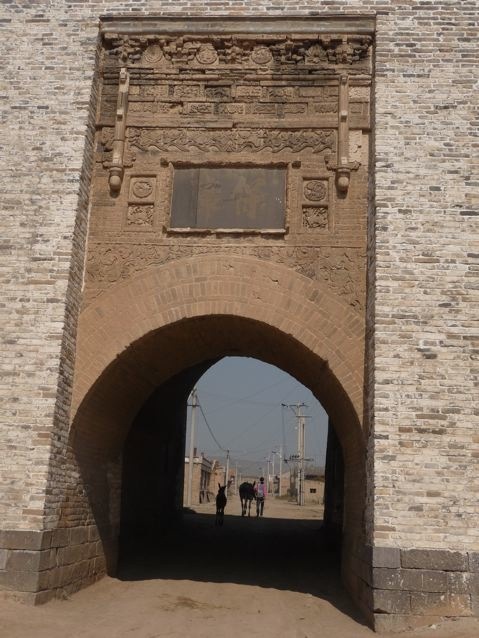 PingYao 平遙 merchants made their fortunes by supplying the garrisons of the Great Wall during the Ming Dynasty. Then its rich merchants made PingYao into the financial center of the Qing Dynasty until Shanghai took its place in the 19th century. 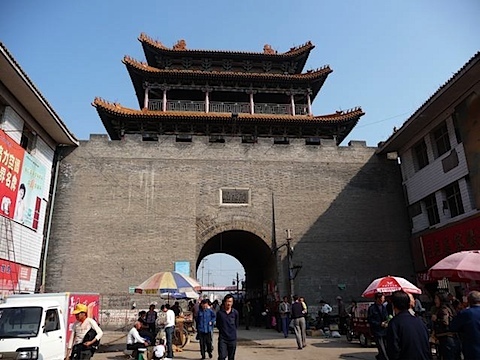 Its meteoric fall and financial difficulties stopped its development for two hundred years, preserving the town in its old glory and propelled it into an UNESCO World Heritage site. 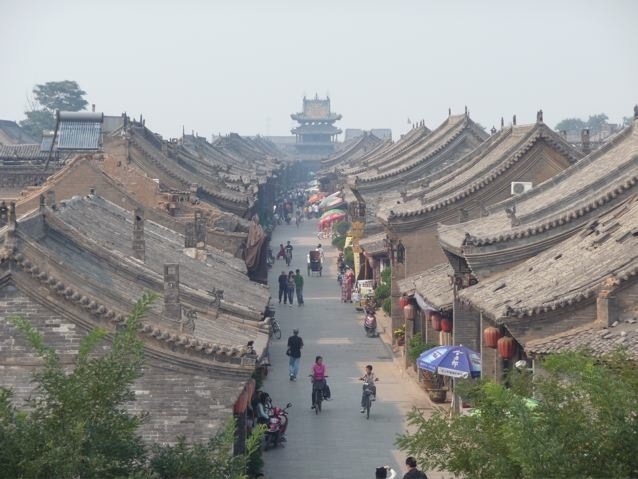 Ming and Qing houses line the main street of PingYao. 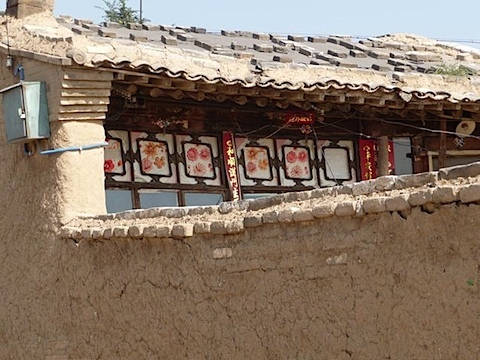 The old houses maintain their ancient charm. Some houses were elaborately decorated by their former rich owners. The former magistrate’s compound is well preserved. 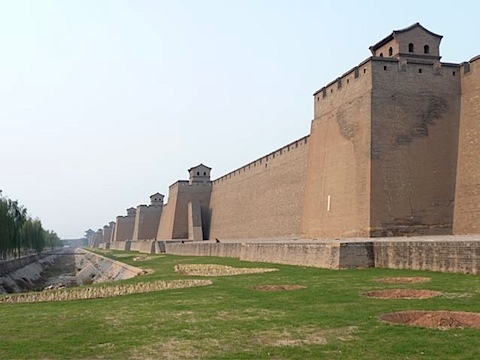 The town’s wall and bastions still look impregnable. 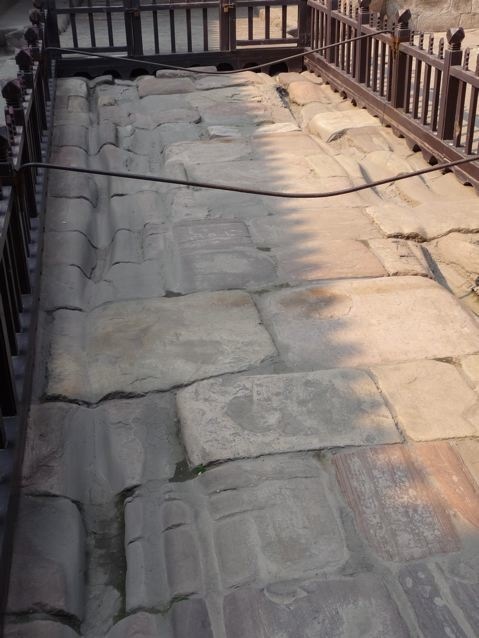 The roadway stone of the gate bear the wear of thousands of steel rimmed wheels. 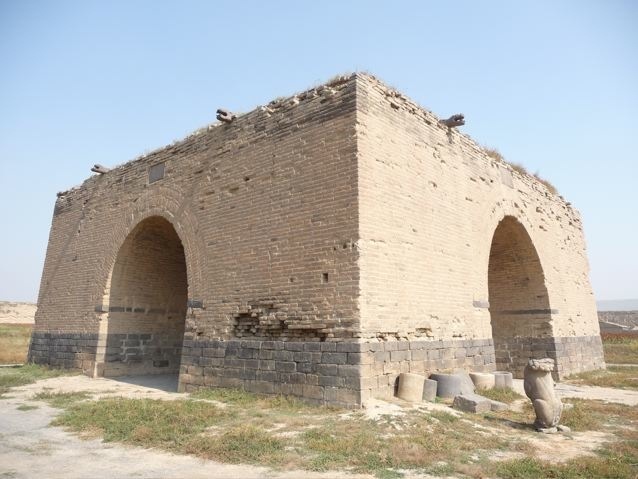 A less well preserved town is PianKuan 偏關, a border town that guarded against Mongol invasions. The town’s gate is still well preserved and is still the main passageway for residents. 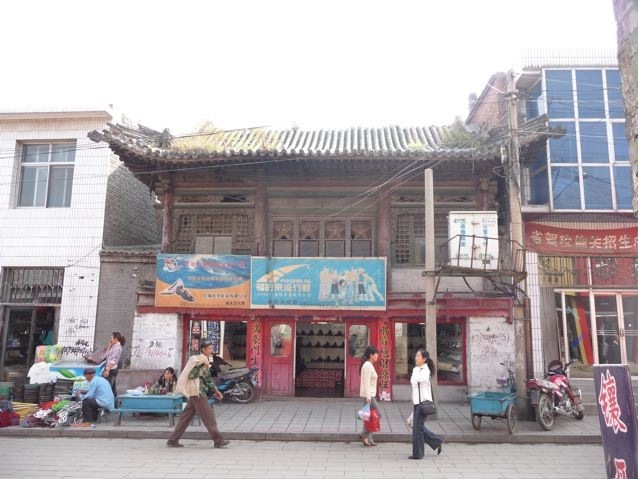 But the houses in town have changed from the charming old Chinese houses into non-descript block houses. The only old house still standing in PianKuan town and its days are numbered. 3. Old towns still in use. On the Great Wall, garrison towns were built to house the troops and farmers since the 1400s. 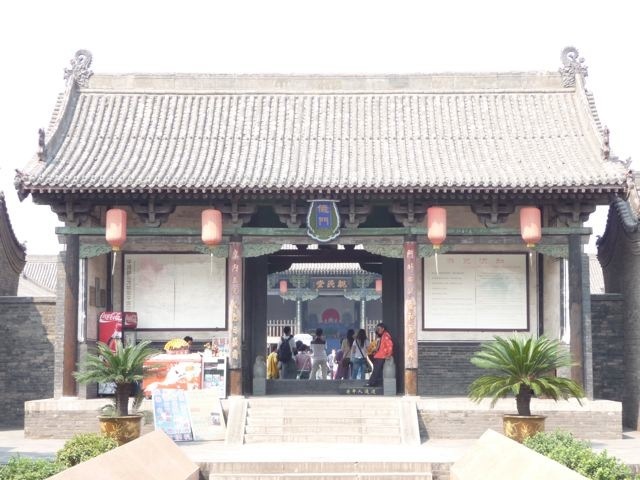 They developed into major trading centers between Mongol nomads and sedentary Chinese Han people. 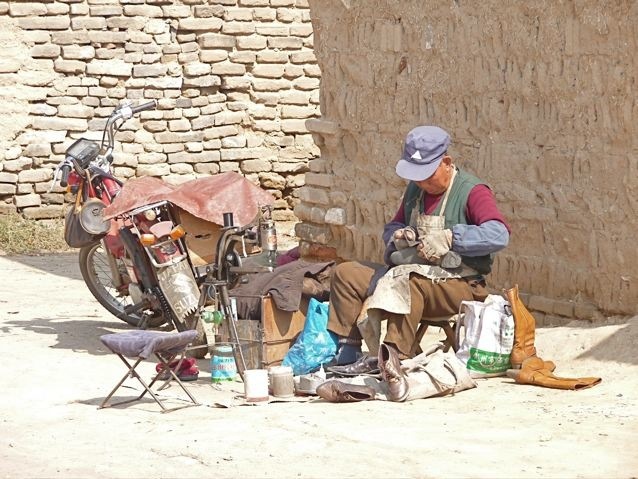 Horses and furs were traded for grains, fabrics and tools. With the rise of cities where shops offered everything, these border trading towns lost their significance and went into decline. 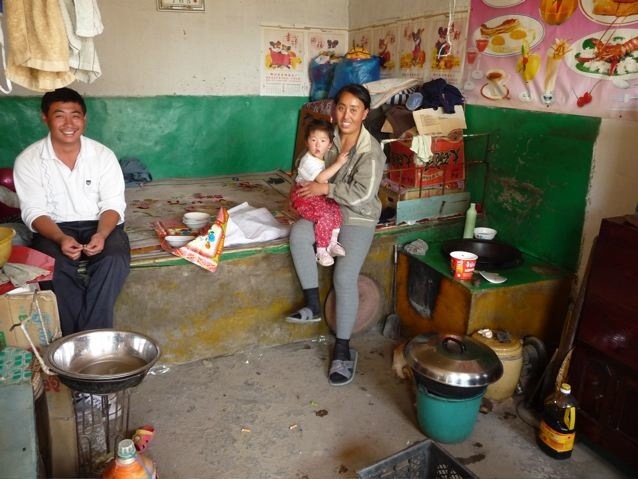 Some, such as this DeShingBao 得勝堡 still house villages and farmers. The gate of 得勝堡 retains its beautiful and intricate carvings. 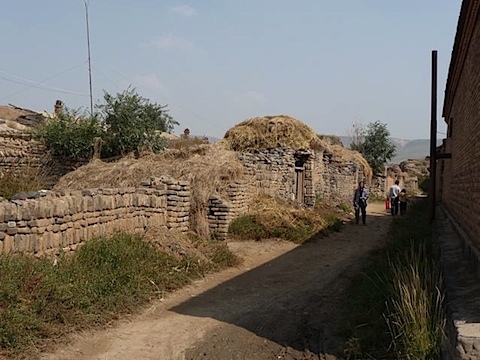 Some houses in town are dilapidated hovels. 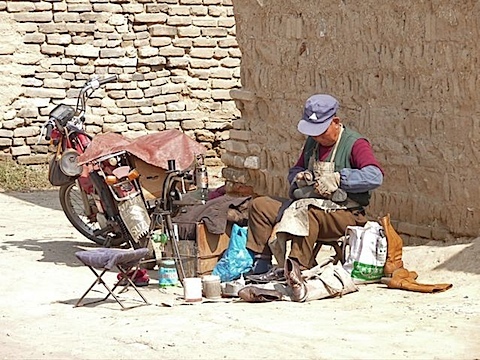 An itinerant cobbler worked under the sun. Some old houses retain their former elegance. I bought a cup of instant noodles and ate my lunch in this residence/store in town. The simple folks were very nice and friendly. The old drum tower in town has deteriorated to a shell of stones and brickworks. A part of the town inside the wall is being used as farmland. As border trading disappeared, shops closed and people moved away. In time, the bustling towns lost their vitality and slowly declined into oblivion. 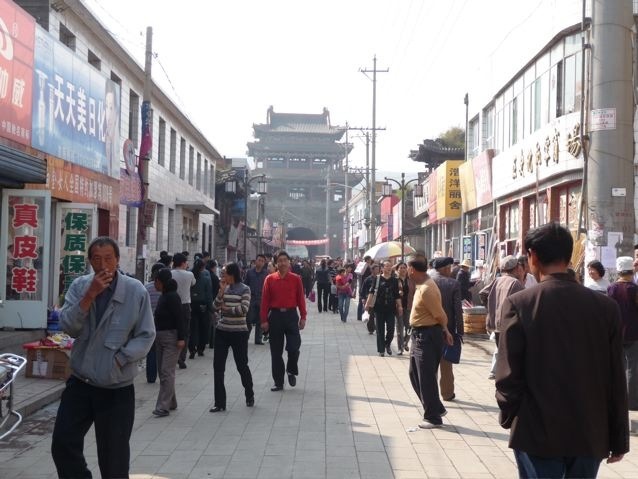 SaHuBao 殺虎堡 was one of four busiest border trading towns on the Great Wall between Mongols and Hans since the Ming Dynasty. 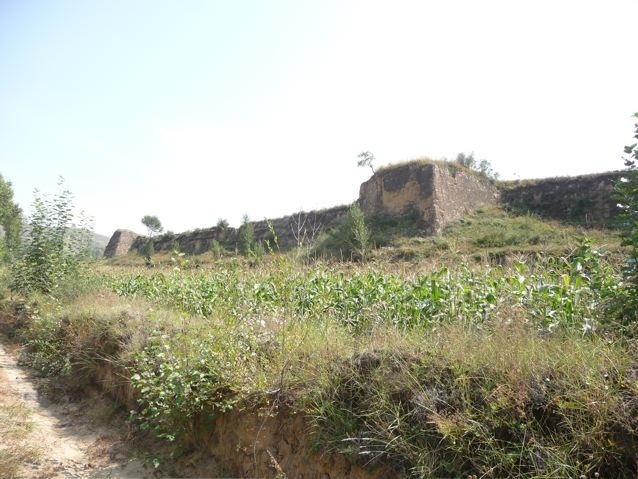 Now, it is completely abandoned even by its resident villagers. 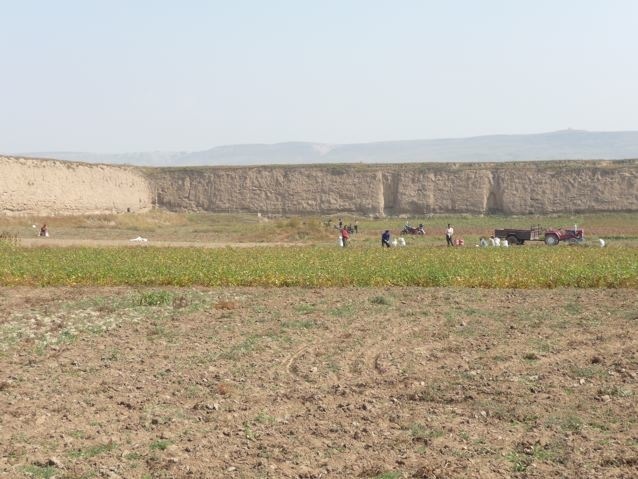 The town compound has completely been turned into farmland. The gatehouse structure that guarded the town has crumbled into collapsed walls with openings. The bastions of the wall retain some semblance of their former glory. Contrast these bastion remnants to those of PingYao to see their different fates. 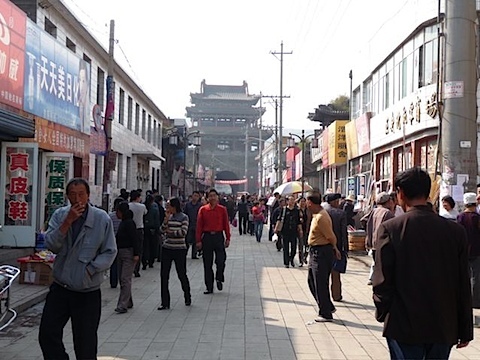 A panoramic view of the town of 殺虎堡. It has completely been turned into farmland and not a single house remains standing. Imagine this piece of property being as bustling as PingYao streets only a few hundred years ago. Posted by Robert Wu on Sunday, December 14, 2008, at 1:48 am. Filed under Uncategorized. Follow any responses to this post with its comments RSS feed. You can post a comment or trackback from your blog.